Child support is always modifiable under Florida child support law, as long as the change would be at least $50 or 15% – whichever is greater. This includes prior orders for child support under a previous divorce, paternity case, or any support order established by the Florida Dept. of Revenue Child Support Enforcement Office. You can never designate child support as un-modifiable. Any time a parent establishes the basic requirements for modification, that parent may file a petition for modification of child support. If there is a prior court order in place that requires child support, a parent may file for modification any time there is a “substantial change in circumstances.” The substantial change may consist of a change income for either parent. The substantial change may also consist of a change in the overnight parenting pattern exercised by either parent. The Florida child support statutes allow a modification petition anytime the petition would result in a change in support of at least 15% or $50 (whichever is greater). change can be upward or downward and may involve either the parent paying child support, or the parent receiving child support. There is no absolute amount the income must change before filing for modification. But whatever the change, the revised incomes must result in the child support amount changing by at least 15% or $50. A good way to test if that standard is satisfied is to plug in the most probable incomes into our child support calculator and compare the final figure to the current child support. One example: if child support is currently $1000/month, the new calculated support must be either higher than $1150/month, or lower than $850/month. Once the proper threshold is reached, the person desiring to change child support can file a Supplemental Petition to Modify Child Support. You should be aware that a supplemental petition is similar to the original case and is not a quick procedure. a substantial change in the pattern of parenting time. A recent new child support law has strengthened the ability to modify child support based on parenting patterns. Previously, many courts looked at the overnight parenting split as spelled out in the Parenting Plan attached to the last final judgment. The recent change authorizes courts to calculate child support according to the “actual” parenting pattern – as currently exercised by both parents. In other words, the parenting plan may detail one parent as getting 265 overnights with the kids and the other parent getting 100 overnights with the kids. Child support was most likely calculated based on that exact split. But if the history of the overnight pattern shows the actual split at 300 overnights for one parent, the courts are now allowed to recalculate child support based on the new pattern – despite what the parenting plan calls for. A technicality in Florida child support law says that child support will vary by each additional overnight only if the “minority parent” has at least 20% of the overnights. In other words, if the parenting plan calls for one parent to have under 20% (73 overnights) and the real-world pattern results in a figure that is still under 20%, then child support would not vary even if the amount of overnights vary. Daycare – When daycare expenses have been incorporated into child support, any change in daycare can serve as a reason to modify support. Or if one parent experiences trouble sharing the cost of needed-daycare, they can address that problem by asking for the cost to be included in child support. An important requirement is for the daycare to be related to employment needs. Daycare expenses for a stay at home parent do not qualify under this definition. Alimony – A frequent situation is where temporary or defined-term alimony ends. The additional income freed up when alimony terminates may be considered an increase or decrease in income. That increase or decrease can support a change in child support. Alimony and child support are always interactive issues. More alimony = less child support and visa versa. Other child support orders – Court ordered child support for children from other marriages are a valid deduction from total income. The support must be court ordered in order for this provision to have effect. Taxes – When payroll taxes drastically change, the resulting net income may call for higher or lower child support. One way that could happen is when a parent moves to an area that has state and/or city imposed payroll taxes. Those taxes may drastically change the net income figure that would be used in the child support calculation. One parent could be affected by state and local taxes in another state – even though the case may be in Florida. Health Insurance for Child – Most Florida child support calculations include the cost of health insurance for the children. Each parent pays for that insurance in a proportion equivalent to his or her net income. There may be a need to file for child support modification when health insurance premiums change. Health insurance would have no effect if the child receives state-provided health coverage. Health Insurance for Parent – Each parent pays for his or her own health insurance. But according to the Florida child support statutes, that payment is a valid deduction from gross income. A drastic change can support a modification case. Each county has a slightly different procedure for child support modification but the basics tend to be the same. The person desiring a change must file a Supplemental Petition to Modify Child Support and serve the petition on the other spouse. Just like a divorce or paternity case, each side must disclose financial information to the other side. 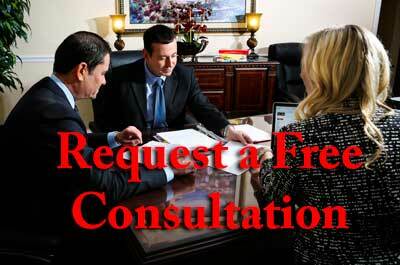 Many court jurisdictions require mediation before going to trial. Depending on the jurisdictions, you may have to conduct your case with a special type of judge, called a Magistrate or a Hearing Officer. One complication that arises in many cases hinges on whether the Florida Department of Revenue has ever been involved with your case. If so, you are required to be seen by a Child Support Hearing Officer, and the case may involve the participation of the Dept of Revenue and their appointed attorney. Cases in this category sometimes come with a higher degree of complication. One frequent situation underlying child support modification cases is where one parent or the other loses their job. The job lose could be involuntary, or purposely arranged for the ultimate goal of lowering child support. Even if the job lose is involuntary, that parent may decide not to seek employment until their child support case is concluded. These situations can be complex and frequently require our firm to do a bit of detective work. Either side must present evidence supporting their claim that any unemployment is voluntary versus involuntary. That is an important issue for the court to decide before there is any discussion of support recalculation. In general you cannot change child support arrears. What is owed will stay in place – even after a successful modification case. The technical standard is that modifications will be effective as of the filing date of the Supplemental Petition. That makes it extremely important to immediately file your modification case as soon as something changes. One exception to the general rule is when children become adults. Many attorneys and many judges believe child support can be retroactively terminated – back to the date the child became an adult. But the best way to address situations when kids become adults is to promptly file your case. Many people are not big fans of the Florida Disbursement Unit because of the inflexibility and the fact that human beings are difficult to reach when there are problems. In any child support modification case, it is essential to end up with a direct order to the Florida Disbursement Unit correcting child support arrears, and setting proper amounts going forward. The failure to take care of that step causes frequent problems. Child support orders can shift many thousands of dollars from one hand to another. Improper efforts to change or modify child support can bring drastic negative consequences. If you desire to raise, lower, or terminate child support, it is certainly worth it to consult with a knowledgeable child support attorney. Ayo and Iken can help you navigate the rules regarding child support and can help you achieve your goals.